An infamous American myth, heralded by politicians for centuries, holds that George Washington, at the tender age of six, admitted his guilt by saying “I cannot tell a lie” after hacking down his father’s cherry tree. Ben Carson, it seems, has not heard this story. Just a day after the candidate’s claims to a full scholarship to West Point were called into question, a revealing series of fact-checks by The Wall Street Journal shows that like Washington, Ben Carson may not be the “most honest” politician, either. The story, besides mentioning the beautiful detail that Carson wore a pocket protector and tie to class every day, reveals quite a few inconsistencies in the tales he’s told over the years. One of them involves him being crowned the “most honest” student in the land. The Republican presidential candidate told the story of an elaborate hoax in his 1990 autobiography, “Gifted Hands.” Carson described a Yale psychology professor who told students that all of their final exam papers had accidentally caught on fire, and that they must all re-take the new, much harder exam. 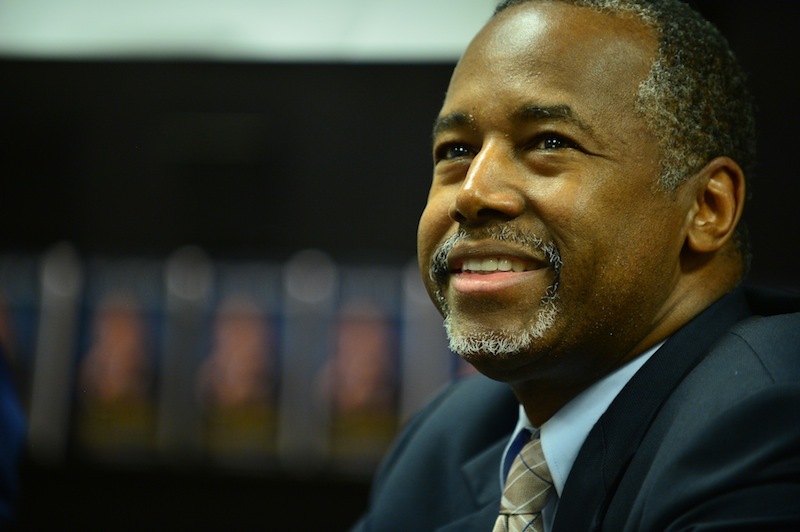 According to Carson, a junior at the time of the story, all 150 students refused but one. That one was the chosen one, the honest one: a young Ben Carson. Perhaps, though, this was a double-hoax, and we have all been out-hoaxed by the ultimate hoaxman himself: Ben Carson.